3 STORY HOTEL WITH BUSINESS CENTER, GUEST LAUNDRY AND SWIMMING POOL. THIS PROPERTY IS BRAND NEW BUILT SUMMER OF 2003 AND IS CONVENIENT TO ALL LOCAL ATTRACTIONS AND RESTAURANTS. THE HOTEL IS LOCATED IN THE HEART OF LAKE CHARLES. LOCATED IN THE CENTER OF LAKE CHARLES. 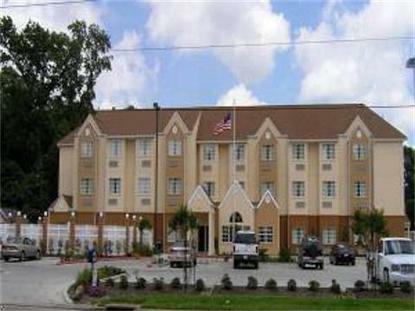 CONVENIENT TO DOWNTOWN AS WELL AS McNEESE ST. UNIVERSITY, RESTAURANTS AND SHOPPING. WALKING DISTANCE TO PRIEN LAKE MALL 2 MINUTES AWAY. THE NEAREST FRANCHISE MOTEL TO THE LARGEST RIVERBOAT CASINO.